1 ART ABOUNDS: Works by Sharon Menary of the Nevada Watercolor Society, which is celebrating its 50th anniversary this year, will be among the wares of more than 80 artists from throughout the Southwest exhibiting their works at the Spring Fine Art & Craft Show presented by the nonprofit Boulder City Art Guild. The 34th annual event will be presented from 9 a.m. to 4 p.m. Saturday and Sunday in Bicentennial Park, 999 Colorado St. In addition to arts and crafts, there will be food vendors and a raffle to raise money for the guild’s scholarship fund. Admission is free. Visit http://www.bouldercityartguild.com for details. 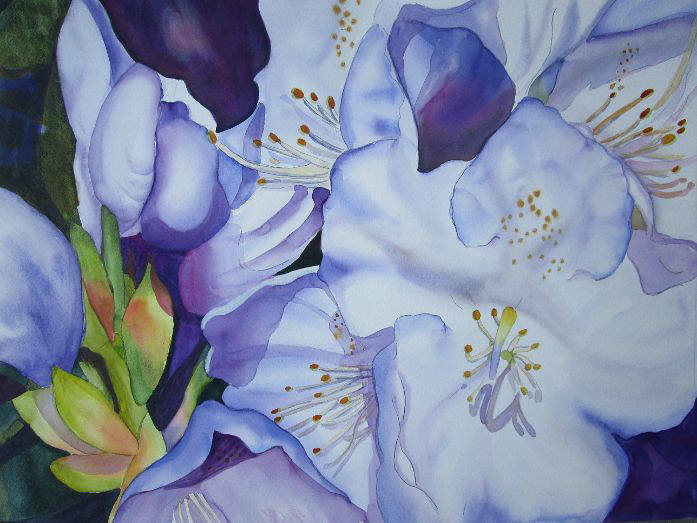 (Nevada Watercolor Society) Works such as "Blue Rhododendron" by Sharon Menary of the Nevada Watercolor Society will be among those featured at the 34th annual Spring Fine Art and Craft Show presented April 13 and 14 by the Boulder City Art Guild at Bicentennial Park in downtown Boulder City. The annual Shane Patton Pub Crawl returns to downtown Boulder City on Saturday, April 13. 2 WINE NOT? : The Roaring ’20s return temporarily as Boulder City Chamber of Commerce hosts its monthly wine walk through the downtown area Saturday evening. Festivities begin at 4 p.m. with check-in at Grace Christian Academy, 512 California Ave. Tickets are $25 each; there is a $5 discount if you bring a glass from a previous event. For more information, call 702-293-2034 or visit https://www.bouldercitychamber.com/2019-best-dam-wine-walk.html. 3 A CRAWL TO REMEMBER: The annual Shane Patton Pub Crawl returns to the downtown area Saturday night. 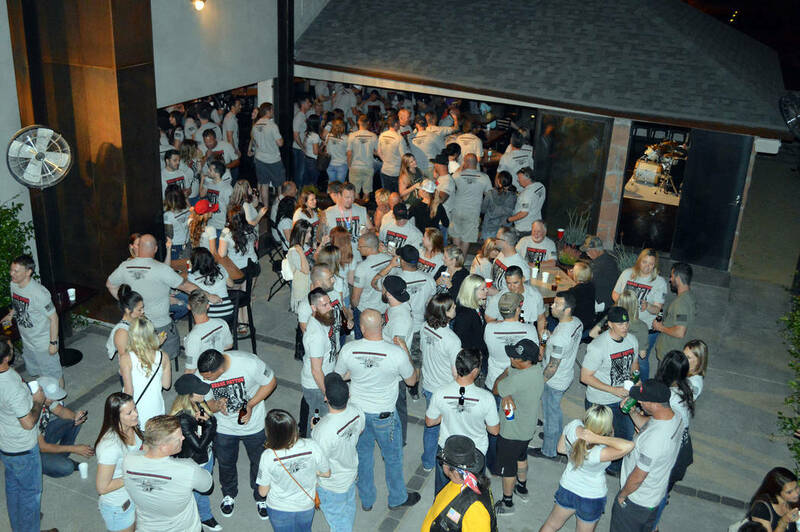 Hosted by The Dillinger Food and Drinkery, the event allows participants to visit area bars and restaurants while helping support the Shane Patton Foundation, which works to honor the memory of the Boulder City resident and Navy SEAL killed in the line of duty. The crawl starts at 6 p.m.; T-shirts are $35 and available at The Dillinger.